Teleology is the study of the purposes of action, development and existence. Its practitioners believe nature is purposeful. An ancient and enduring form of inquiry that has been out-of-fashion among educated people for centuries, teleology’s slow, steady decline as a scientific discipline began in the 17th century with the birth of modern empiricism and continued to plummet apace the rise of the Enlightenment, Darwinism, and quantum mechanics. Nature is not purposeful, it was said, and those who continued to think it was were primarily spiritualists, artists, or madmen, who credited the guidance of gods, muses, or fate. Biologists—whose subject compels them to deal with questions about, for example, what organs are for—must constantly remind themselves that officially functionality is just a side effect of predictable material causal processes. As J. B. S. Haldane is said to have claimed, teleology is like a mistress to a biologist: he may not be able to live without her but he’s unwilling to be seen with her in public. The serious and sensible scientists resolutely resist teleology and her meretricious allure. And so despite biology’s occasional flirtation, in general science measures its progress in terms of the distance it has put between itself and teleology. I call myself a teleologist, and in doing so risk a certain amount of professional shame and disrepute. When I was deciding on a career as a literary theorist and philosopher of science and entering graduate school, if any of my peers talked of teleology at all, it was only to say how passé or stilted “teleological” narratives were, on par with calendar art or sermons. People assumed I was religious or a Conservative or simply had bad taste. Many of those who would receive me—some of whom also called themselves teleologists—were very unwelcome bedfellows. They talked of Truth, Beauty and Goodness and asked me to supply them with a Theory that would defend their particular ideas of T, B & G. Teleology concerns form and function, which is not the same thing, quite, as beauty and goodness, certainly not the same thing as Beauty and Goodness. So I was ultimately unwelcome in that group too. What I do share with all teleologists, authentic or so-called, is a deeply felt folk-sense of purposefulness in nature. It is clear to me that many processes and patterns in nature can’t be fully explained by Newton’s laws or by Darwin’s mechanism of natural selection. These are processes that are organized in ways that spontaneously create, sustain and further that organization. Although I believe that mechanistic reductionism is inadequate to describe these processes, I don’t believe that purposeful events and actions require guidance from the outside—from divine plans or engineering deities. Nature’s purposeful processes are self-organizing and inherently adaptive, which is the essence of what it is to be teleological. A few examples: 1. Flocks of birds fly in formation and change direction simultaneously, even though there is no one leader in the flock nor any kind of instantaneous communication among the entire flock. 2. Many species appear to have been formed according to the same general ground plan: for example, many animals’ major organs have relatively similar distribution schemes, even though they do not share a common ancestor. 3. When food resources are scarce, free-roaming slime-mold cells (if you do any amount of reading in science you know that slime mold and fruit flies have a kind of celebrity status) will emit a chemical signal that attracts other cells. They aggregate and finally pile up to form stalks that eventually release spores in order to continue the species-individual. Each of these examples involves a process that appears to be guided by a plan or that anticipates the future. Yet, argue scientists, the individual birds, separate species, or free-roaming cells are not intentionally acting as an organized group, variations on a theme, or altruistic stalk builders. Such phenomena, it has been argued for four centuries of science, merely appear purposeful. Instead, I wondered if these examples from nature can help us re-imagine what purposeful behavior actually is, in ourselves as well as in nature. I decided to pursue that thought. Against the good advice of many, I dedicated myself to teleology, an area of philosophy that had been so thoroughly discussed, debated and dismissed it seemed nothing more could possibly be said. But they were wrong, and I eventually found others like me who were beginning to reinvent one of the oldest ways of understanding the world and our roles in it. Human purpose is a specific type of a more general purpose in nature. 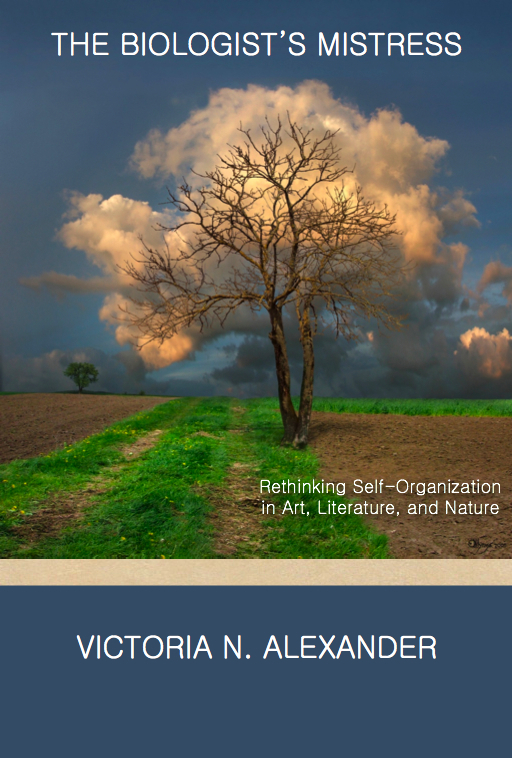 Both can be defined abstractly and generally as forms of self-organized adaptation. But this definition is not intended as an explanation. The structuring process that we call “self-organization” still needs to be understood. With this book, I hope that I can offer some general insights, showing how chance and constraints might work together to make us purposeful beings. What we learn about our own purposeful behavior will help us understand how nature, society, or culture can be said to act purposefully too. When you set something up as an object to be gained, as Merriam-Webster defines human “purpose,” you do so to maintain and/or improve your “self,” whatever that is to you. And your self is, reciprocally, the epitome of all your past desires and accomplishments. If you are capable of acting purposefully that means that you (your purposes) are in some sense the cause of the action. Acting purposefully cannot mean following someone else’s ideas. Only your own purposes—which arise from your own self-organizing biological and semiotic processes—make you a purposeful being. Nothing is purposeful that is the puppet of some other force. To be purposeful is not to be a tool. Years ago, just starting to wonder seriously about these issues, I confronted the usual kinds of questions, What is life for? What is the purpose of life? Or, posed a bit differently, What is the meaning of life? as if it were a kind of allegory, and purposeful beings always served the purposes of someone or something else. I can’t remember when exactly I stopped thinking about purpose in this way, but I have, completely. Over the dozen or so years that I’ve been studying the history of this problem, I have come to realize that purposes can only be defined in relation to the self in question. Your purposes, for instance, are always related to what sustains or furthers your values, what coheres with your personality, and, importantly, what helps you survive, evolve or adapt. The question of your having a “higher purpose” would pertain to the role that you may have as a part of a larger society or ecosystem. We all play those roles too, as organs not tools. And as such, we preserve our own autonomy. “Organ” comes from the Greek organon, meaning “tool” or “instrument,” a somewhat unfortunate etymology for an organ is different: it helps create and is created by the individual in which it exists. Tools don’t do that. As a purposeful member of a society, for instance, you help create and are created by the society. Theologians throughout history have made innumerable attempts, some valiant, to explain how people can have free will even if there is a God that determines everything in advance, a God who has a higher purpose under which we are bound, a God who has created us as (effectively” non-organic” in the sense of “not co-creating”) instruments of his divine Plan. It cannot be done. Theologians throughout history have tried to co-opt teleology for their own religions. It cannot be done. Teleology is not theology. Teleology comes closer to a transcendental way of animating nature and recognizing some kind of proto-intelligence and creativity in events themselves rather than attributing their organization to a Being in control of nature. I say, comes closer to because it does not go that far or quite in that direction. Teleology seeks naturalistic explanation for real, natural phenomena. Nature is, as we are, self-organizing. As the new millennium began, I, bravely or naïvely, committed myself to this discredited branch of philosophy, officially submitting “teleological narratives” as my dissertation topic. Although I was working on a doctorate in English at City University New York (CUNY) Graduate School, I needed a scientific advisor on my dissertation committee because teleology and biological self-organization are so entwined. By chance one of my literature advisors, Angus Fletcher, had just retired to Santa Fe, New Mexico with his wife Michelle. I would travel great distances to meet with them under any circumstances, but what made me even more willing to visit Santa Fe was the fact that the Santa Fe Institute, perched upon the high desert hills just outside of that city, is the premier center for the complexity sciences, a field in which teleology might be seen anew. Fletcher’s move helped me decide to propose my ideas to theoretical physicist James P. Crutchfield, one of the original investigators of deterministic chaos, who, I had learned from James Gleick’s popular book Chaos, was interested in the intersections between science and art. It was a late summer day as I got into my taxicab to go up the hill to the Institute to meet with Professor Crutchfield. As I did so, I noticed something light brown on the red-earth driveway of my adobe hotel: a very large moth with enormous “eye spots,” on its wings, which Darwinists claim evolved because they mimic owl’s eyes and frighten off predators. Deciding to take it along with me on my interview, I gently nudged it and it crawled onto my hand and calmly perched upon my palm. It was a providential find, as I wanted to talk to Crutchfield about my dissertation research on a non-Darwinian theory of evolution posed by Russian-American novelist Vladimir Nabokov in the 1940s. I had become interested in the way Nabokov’s theory of the evolution of butterflies and moths corresponded with his theory of creativity generally and of the poetic structure of his own novels specifically. When I arrived at the Institute, I was greeted by Crutchfield. The image of a late 20th century scientist, fit and suntanned, he sported a ponytail and wore shorts, looking very much like the former surfer he is. We sat on a terrace overlooking the juniper covered hills and began to talk about art and the complexity sciences. Finally, he asked about the moth, which for some time had been sitting on my lap, very slowly beating its huge velvet wings. I told him about Nabokov’s work. He was stunned. That summer he was leading a conference on non-Darwinian evolutionary theory, which was thought to be a radically new way of thinking. And here was a student of literature with similar interests. I had had no idea that Crutchfield was working on evolution, and I was just as surprised as he was. We started collaborating right away, and within months I had published my first paper advancing a testable scientific theory, albeit a rather modest one, on the teleological mechanisms behind insect mimicry. He came to be my mentor for several years, and I profited much from observing his tough, empirically-minded approach to the complexity sciences. Although at first his work was simply beyond my ability to understand it, I noted that at conferences and workshops when a difficult question was thrown on the table, the entire group would spontaneously turn to him, sitting silent and watchful. His answers were usually greeted with approving noises and pleasant surprise. So I trusted him; when you’re just starting to learn you have to put your trust somewhere, and the signs were good. I was not disappointed. He understands the sort of things scientists are not supposed to understand, namely creativity and chance. I relate the details of our first meeting because the story itself flirts with teleology. My finding the moth by chance helped me to achieve my purpose, and it launched me on a wonderful and exciting journey in science. It was as if Nature had intended it. Telos is Greek for an “end” or function, which helps explain why something exists or why its previous actions occurred: in order to serve that function. Telic action requires a representation of the goal that helps achieve it. In short, teleologists argue that ideas, or something like mental concepts or thoughts, cause events in a way wholly different from the way that objects cause events—atoms, molecules or larger bodies hitting each other and/or reacting (see, for example, Adams, Ducasse, Ehring, Papineau, Taylor, Wimsatt, “Teleology,” Woodfield, and Wright). Assuming that the universe cannot think (and there is no god to do the thinking for it), philosophers and scientists first ruled out telos as a cause in the processes of inanimate nature, which, it was believed, simply proceeded mechanically, according to the laws of physics. For a while it was still accepted that people (if not all animals) did act purposefully, that is, did and said things in part caused by the representations of goals, in a non-mechanistic way somehow beyond the known laws of physics. But as time went on, it was argued more and more that even mental acts and thoughts were strictly mechanical events—electro-chemical interactions in gray matter. Accordingly, purposeful animal behavior was also eventually pretty much ruled out by science, and the final nail was hammered into the coffin lid of teleology. How could one argue that nature was purposeful if even humans were not? This situation led to all sorts of arguments about the nature of human responsibility. How could one be blamed for or take credit for any thing one did, if every action was determined by the laws of physics and was effectively inescapable? I will not be taking up such an unwieldy issue in this book. My aims are more modest. Instead I will explore a related issue: not ethical responsibility but aesthetic responsibility. How are new meanings and forms created? And who or what process is responsible for the new creation? Art and teleology are intimately related. This is so because teleology involves representation, design, and meaning. Perhaps aesthetics and teleology are actually the same formal discipline. To say nature is teleological is to say nature works like an artist. To say something is a work of art is to say it is teleological. This helps explain why representation, design and meaning (in other words, art) came under attack with the “demise” of teleology. In the late 20th Century, artists and writers, who had always been creators of worlds, were no longer considered responsible for their actions, creations, or meanings. However original they might seem, what they did was just the inevitable product of their interacting matter. With the supposed end of artistic intention, the romance that used to attend the artist walked out of the cold-water flat one morning without leaving a note. Art was replaced with something that was called “art” but was not artful in the teleological sense. Paradoxically and with great confusion, the (then apparent) end of teleology redefined what kind of “art” could be considered “intellectual,” “sophisticated,” or “artistic” by critics, students, academics, and professionals. Purpose was associated with religious narratives and with superstition. It became unfashionable to represent the world in a teleological way. In a teleological narrative, all the events depicted, or at least the key ones, are chosen and included because of the way they reflect, refract, or prefigure a general theme of the story or the end of the story, the resolution of a problem. There is usually progression or development. Events exist in the story because of the purpose they serve. 20th Century non-teleological so-called artists decided instead that “realistic” representation should capture a world in which the parts did not relate to a whole. Characters in non-teleological novels wander aimlessly and seldom undergo change, either for better or worse. Many things happen to them that don’t seem to add up to anything. Some so-called artists thought that indeterminacy at the quantum level disproved teleology so they set about making worlds that mimicked the true “reality” of the quantum world with its inherent unpredictability and chaos. In 20th Century “arts,” accordingly, if there was to be any organization in a work at all, it was appropriate to leave up to the reader, viewer, or critic to “create” it by imposing his/her own interpretation, tinged, of course, with knowing and delicate irony. The reader became the authority. In the visual “arts,” the idea that the artist should try to control interpretation or try to plan or design a composition was considered gauche. Painters started representing things thrown together, not put together for reasons. Intentional organization was out. The word “organization,” which has “organ” in it, is virtually synonymous with functional design, teleological design. Many, many visual “artists” abandoned perspective, color theory, and composition. Some writers, particularly poets, not only abandoned grammar and syntax but also semantics. Representation itself—its aims, its uses, its good—was called into question. Teleological representation was wrongly associated with dogmatic values and morals, with religion, and, during the cold war era, with propaganda. Even the pure formalism of abstract Modern art, which was supposed to represent and abstract something about the world, eventually began to be discounted. This led to the popularity of non-representational art, which, it so happens, is more difficult to judge than representational art because, well, it doesn’t represent anything; there is no basis for assigning value. Savvy capitalists seized upon the opportunity and began aggressively promoting value-free art, art that could not be judged according to the amount of representational skill necessary to create it. Something called the “art world,” made up of the products of MFA mills, glossy magazines, and pretentious galleries, emerged with its own arbitrary and completely conventional—that is, ungrounded—language. Anything the art world said was “good” was good, even if it was interchangeable with art outside the art world, which was said to be “bad.” In this way gallery owners were able to print their own money, as it were. Fake sales of an artist’s work drove up the price tag of all his or her work. Of course, the gallery had already contracted to purchase all the artist’s work at a small fraction of what they would sell it for. During the 1980s when these sort of abuses reached a height, skilled artists who realized what was going on created a slogan targeted at those who had been lured by the promise of becoming an art celebrity: “It’s the dealer, stupid,” acknowledged that it was the dealer who was the real artist, a money artist. Doubtless there are all sorts of other reasons—political, economic, social, philosophical, and aesthetic—for the way the art and literary worlds developed in the 20th century. Most people active in the arts were probably pawns of the economic machinery (even as they helped create and maintain it) and blissfully unaware of the debate about teleology and intentionality. I suspect that most just learned to copy a popular style. Anxious-to-please students of art and literature probably only repeated what they had heard, slogans such as “process is preferable to product,” without really knowing anything about teleology or that it had been associated with “product” and very wrongly disassociated from “process.” These values and prejudices were known generally as “postmodernism” and “deconstruction,” conveniently ill-defined labels that denoted what the important people were saying was sophisticated, smart, and stylish. I will speak plainly. I do not like non-teleological art. Not only do I think it inexcusably boring, I think it false. Nature is a work of art, and there’s no good reason why art, representing nature, should not appear artistic, by which I mean intentional and purposeful. I am not an advocate of Intelligent Design, which, insofar as I understand it from what very little I have read, seems just a round about attempt to argue for a supernatural Creator. There are no gods in my cosmos. Nature is creative, but without a Creator. Nature is self-organizing. When I say “creative,” I mean progressively more able to make more complex and astounding things, like us, not quite by pure accident, but by availing itself, in the way that artists do, of the emergent ordering tendencies of chance. Although telos has been variously interpreted throughout history, I make the argument throughout this book that it has consistently involved chance. This goes directly against the predominate grain of contemporary thought that associates teleology with rigidity. While I admit I refine telos, as I will show, my definition is implied, latent or prefigured, in every definition from Aristotle’s onward. To say nature is a work of art (sans Super Artist) requires a new understanding of what it means to act intentionally and of what it means to say that nature’s processes are teleological. Fortunately for me, there is at hand a burgeoning field of research that sees the issue completely anew. This “field” is actually a collection of loosely interacting individuals that work under various names: complexity scientists, neutral evolutionary theorists, emergentists, complexity neuroscientists, system theorists, synergetic researchers, cyberneticists, and biosemioticians. Don’t be put off by these labels. I intend to keep this as non-technical as possible. I want to speak to generally educated audiences—people outside the circle of academic obscurants—to those of you who get annoyed at disjointed movies or who are baffled by reports of child-like paintings going at auction for more than you could ever hope to make in a lifetime of hard and thoughtful labor. You no longer have to feel embarrassed that you just don’t “appreciate” such things. Obscurity is a tyrant that bullies its critics into silence. The only thing one can say is, I don’t understand, more or less shouldering the blame. But it’s not that you don’t get it. Either there’s nothing there to get or you did get it, you just didn’t think it was interesting enough to be the “it” everyone is so excited about. So you said nothing. We’ve all been respectful; let others have their opinions and tastes. I’ve been guilty of this too, working uncomplainingly in the arts now as I have for fifteen years. But I’m breaking that silence now. Art, I think, is our most precious resource, our source of inventiveness and our means of progress, and we cannot afford to let it sink into dullness (as Alexander Pope imagined) out of a self-damning respect for other people’s opinions and a polite reluctance to say to an artist, But your work is indistinguishable from work that requires neither skill, talent, serious thought, nor effort (other than tedious)! With this book I will likely offend some of my own colleagues and (very good) friends who enjoy postmodern irony and like very, very “difficult” work that you can’t really understand. They will defend the aesthetic experience of “bewilderment” and “confusion” which, I happen to agree, is an essential precondition of poetic experience. But I think it’s the making sense of the world anew which is truly poetic, not the destruction of sense. Poesis, from which “poetry” is derived, means making not unmaking. That’s about as much as I intend to say about the movements known loosely as “postmodern.” To recount and rebuff their ideas here in detail would do my reader a great disservice since they are obscure and boring—infamously so—and I want a larger audience than they invite. My topic is difficult enough without adding more difficulty to it. Another reason I will not be offering a more than a cursory summary of the criticism is because, to be quite honest, I have not spent the time everyone claims is required to get it completely. (How convenient for its practitioners for these works are generally long and far too dull to finish.) Oh but I know the theory well enough to know its not worth the time. I passed the required graduate exams. I read Jacques Derrida’s Grammatology to page 200 or so, at which point I hurled it across the room. It was clear enough he had got teleology and Charles Sanders Peirce, an American Pragmatist philosopher and semiotician, on whom he had based some of his ideas, wrong (see Short, Perice’s Theory 45-59). I am glad that I couldn’t get through that book, glad I didn’t understand him, and most of all, glad I did not acquire his vocabulary and style. And at the risk of inviting even more criticism from my peers, most of whom have the deepest respect for ideas I cannot even fathom, I admit I know next to nothing about Lacan. Fortunately, postmodernism is quickly going out of style as I write. There are more than a few who have attempted to salvage it by calling what I do postmodern, saying yes, that’s what we meant. But I disown you all. The one thing I have in common with postmodernists is, perhaps, a rejection of an essentialist conception of selfhood (i.e. a static identity, predetermined by nature). But who doesn’t these days? Similarities pretty much end there because they did not attempt a new definition. I, and the others I work with, do. And this is a profound distinction that affects the way we stand in regard to ideas of value and the creation of value. Postmodernism is being blamed now for much of America’s woes, its lack of standards, its nation of drifters. I will not quite go that far, little as I like my Derrida. But I will say that academics in the humanities took such an ironic stance to their own subject that they deconstructed themselves out of respectability. The project has backfired. Few people like us these days. I know. I feel the chill settle at PTA meetings when it is discovered that I am a doctor of philosophy, not medicine. What use are we in the humanities? We need to prove to everyone that art and literature are important, as important as science, if not much more so, to understanding the world. Maybe there’s hope that we academics can redeem ourselves yet. While those who have invested their careers in postmodernism are still defending it, the “hip” audience is gone. Organization, form and beauty are making a comeback in the visual arts (due largely to economic causes, not ideas) and no one seems to remember why it was so uncool before. Such is the nature of fads. There is an intellectual vacuum left by the retreating theory and I intend to fill it. In this work I use telos as a non-countable noun, contrary to convention and, some will say, correct grammar. Normally one would say, the telos or a telos. Non-countable nouns are nouns that do not take a definite article such as “a” or “the” and do not have plural forms. Some examples of words used as non-countable nouns are: aliveness, justice, gravity, luck, intelligence, progress, art, and science. In my mind telos is not a definite, countable thing: it is an abstraction, a general concept. Though most philosophers agree that “ends” are always general, never particular, their grammar does not reflect this belief and therefore can, I think, encourage confusion. I want my grammar to reflect my conception, so I’m reinterpreting the rules to suit my purposes. See Alicia Juarerro’s Dynamics in Action: Intentional Behavior as a Complex System for an excellent treatment of this question. The chief sources from which postmodern thought draws its conclusions about science, generally understood, are: firstly, Thomas Kuhn, The Structure of Scientific Revolutions, whose argument that the ruling paradigm determines what science considers true has been misused by many postmodernist to defend the idea that science is “just another narrative”; secondly and significantly Jean-François Lyotard, The Postmodern Condition: A Report on Knowledge. Lyotard argues, for example, that because “Quantum theory and microphysics require a … radical revision of the idea of a continuous and predictable path. The quest for precision is … limited … by the very nature of matter,” and therefore knowledge itself “resolves into a multiplicity of absolutely incompatible statements” (56-57).